Conductor Angel Šurev has adapted the Saint Saens’ opera Samson and Delilah, for choreographer Lidija Pilipenko, by using parts of French masters’ compositions, but leaving the chorus on the stage for chorus’ parts. 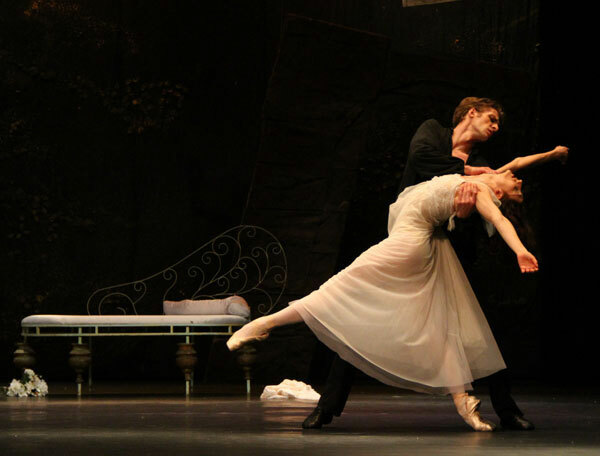 Choreographer Lidija Pilipenko believed that the story of Dumas’ novel The Lady of the Camellias deserves a ballet version to the music of Verdi’s La traviata, a well known and liked opera. 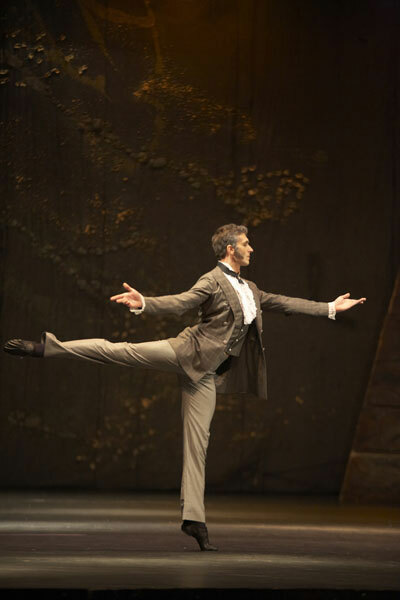 For this occasion, Angel Šurev has done the musical adaptation; he strictly followed Verdi’s musical scores, therefore, except for three very short modulations, this full-length ballet has no variations. There is a part of Verdi’s Requiem in the piece, so the adaptation was limited only to instrumentation. The order and arrangement of certain musical scores have been designed in close cooperation between the choreographer and the conductor. Šurev has connected the parts into a new dramaturgically conditioned unity in an extremely competent manner by keeping all musical elements, except for instrumentation that has transformed singing parts into instrumentals. 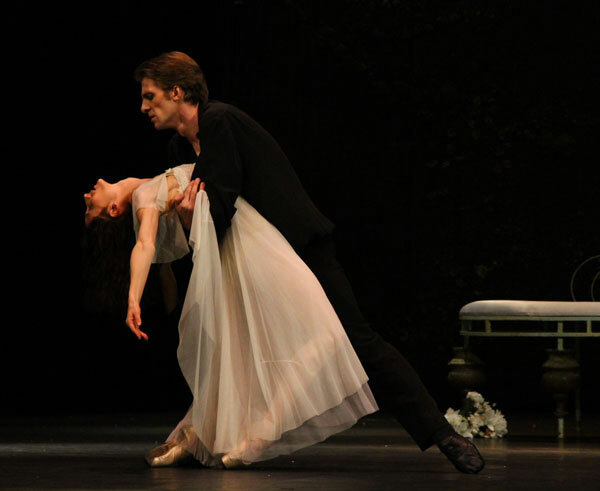 Some parts repeat, some are transferred from one into another act, so the listeners of Verdi’s La traviata get almost full opera music in a new arrangement, and the viewers of ballet get ingenuous Verdi’s music as a basis for dance. (…) By enlarging the orchestra with wind instruments the sound becomes fuller, richer and more luxurious. It is only natural that instruments bringing melody to singing parts should be selected after the character of music. Listeners will be surprised with abundance of solo sections for certain instruments. We need to ask if there was a need to adapt the original musical scores. When that means enrichment in ballet expressions and enlargement of musical basis for dance and movement, we find the intervention justifiable and effective. Nothing seems distorted, lost, or forcefully separated and then joined back again. Beautiful melodies have not lost a thing from their original inspiration, freshness and enchanting attraction given to them by their author. There will always be those who praise and those who resent adaptations. Lidija Pilipenko, an artist, prima ballerina and choreographer, spent most of her professional life at the Ballet Company of the National Theatre in Belgrade. After her specialization in London with Ninette de Valois and a brilliant career in the profession, she ventured into choreography. Already having an outstanding career as a prima ballerina of the National Theatre Ballet, she proved herself to be one of the top choreographers in the country. She created the following ballets to the music of Yugoslav composers: Banović Strahinja and Jelisaveta by Zoran Erić for the Belgrade Theatre, The Eternal Bachelor, and The Choosy Girl by Zoran Mulić for the Theatre in Novi Sad. In 1981, at the Biennale in Ljubljana she received the Award for Choreography for Banović Strahinja. 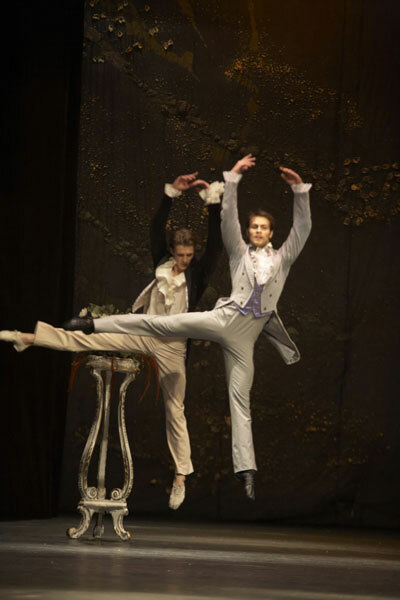 She also received the Award for Choreography for two full-length ballets, Jelisaveta and The Eternal Bachelor. Then the production of Samson and Delilah by Camille Saint-Saens, followed. 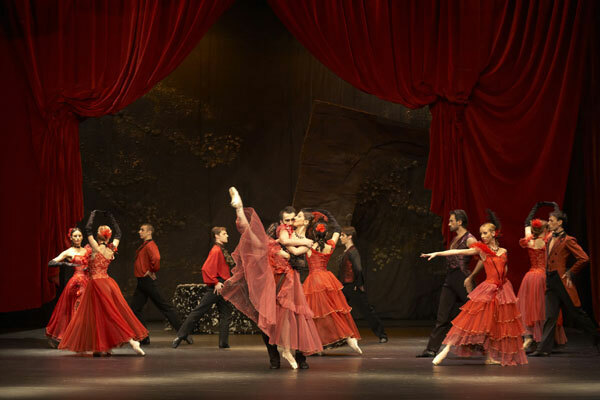 The production opened the ballet season of the National Theatre, after the building reconstruction in 1989. This production brought her the National Theatre Award. She also staged two world premiers: Resurrection to the music of Gustav Mahler’s Second Symphony; The Lady of the Camellias to the music of Giuseppe Verdi. In 1994, for the National Theatre Ballet she staged El Amor Brujo by Manuel de Falla and Scheherazade by Nikolai Rimski-Korsakov. Soon after, in 1998, she produced A Woman to the music of Sergey Rachmaninov. She has made choreographies for TV, films, and musicals with same success: The Story of a Horse, My Boyfriend, Gypsies Fly to the Sky, I love My Wife, The Wind Will Cease, etc... She choreographed the following operas: Carmen, Aida, The Bat, etc. 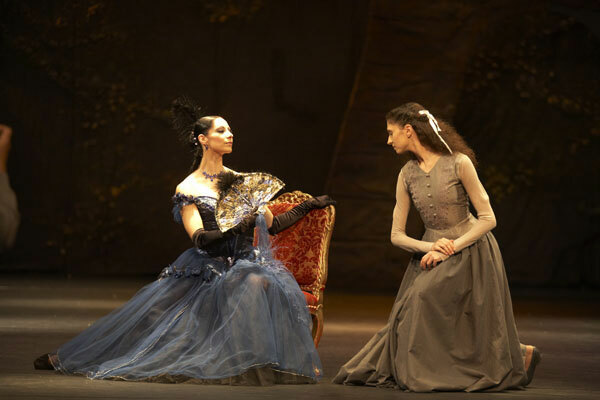 In 1999, she staged two one-act ballets for the End of Twentieth Century…? program of the National Theatre in Belgrade: The Images to the music of A. Schoenberg and The Cage to the music of G. Mahler (revived in 2007). In 2000, she produced The Legend of Ohrid by Stevan Hristić. In 2004, her production of Tchaikovsky the Poet to the music of P. I. Tchaikovsky, was rewarded the best production of the season 2003/2004 in the National Theatre in Belgrade. With the same Company, she staged another world premiere - The Impure Blood ballet, after her own libretto inspired by Borislav Stanković’s piece and her own compilation of national authors’ music (Stevan S. Mokranjac, Petar Konjović, Vasilije Mokranjac and Stevan Hristić. She received the Award for Life Achievement, in 2001; followed by the Dimitrije Parlić Award, in 2004; and the National Award for Contribution to the Culture, in 2007. 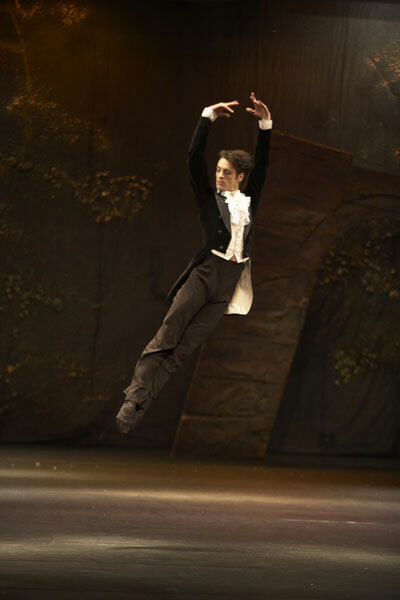 She held the position of the Head of the National Theatre Ballet Company in periods 1992—1993 and 1997—2000. Giuseppe Verdi (1813—1901), a famous Italian composer, showed his talent quite early. While earning a living as an organist, he began to write operas in Milan. In 1839, his Oberto was successfully performed at La Scala, and it initiated Verdi’s long association with the publisher Giulio Ricordi. His next opera, Un giorno di regno (1840), was a failure. Not long after, Verdi’s two young daughters and wife died. He overcame his despair by composing Nabucco (1842); it was a sensational success. It was followed by the equally successful I Lombardi (1843). For the rest of the decade he wrote a hit opera every year. Rejecting the prevailing structure of Italian opera — a patchwork of open-ended scenes and inserted arias, duets, and trios — he began conceiving of an opera as a series of scenes integrated into acts. Specializing in stories in which characters’ private and public lives come into conflict, he produced a series of masterpieces, including Rigoletto (1851), Il trovatore (1853), La traviata (1853), Don Carlos (1867), and Aïda (1871). A fervent nationalist, he was regarded a great national figure of still non-unified Italy. After composing Requiem (1874), he retired, but when Ricordi brought him together with the Italian poet and composer Arrigo Boito, initially to revise Simon Boccanegra, their mutual esteem led to the two great operas of Verdi’s old age, Othello (1886) and Falstaff (1890). I remember seeing Marguerite Gautier often at Champs d’Elysees, where she always came, every day, in a small blue chariot pulled by two beautiful bay horses, and I noticed her stylishness enhanced by her exquisite beauty… It was impossible to see a beauty lovelier than Marguerite’s. She was quite petite, as if her mother made her that way so she could carefully shape her, as Misset would say… Her hair, dark as night, parted above her forehead, fell in natural, or perhaps artificial, waves into two wide bands behind her head and revealed lower parts of her ears; in each was a shining diamond worth 4 to 5 thousand francs… Marguerite went to all premiers and spent every evening in theatres or at balls. One could be sure to see her if there was a new play, with three things she would never go out without, which were always placed at the side of her loge at the ground floor: lorgnette, bag of candy and a bouquet of camellias. No one ever saw Marguerite with any other kind of flower. This is why they call her the Lady of the Camellias in Mrs. Bargeon’s flower shop, and the name stayed… I also knew, as did everyone else who belonged to a certain society in Paris, that Marguerite was a mistress of most elegant young men of which she spoke quite openly. She was elegantly dressed. She wore a muslin dress adorned with numerous flounces, rectangular cashmere veil with corners embroidered in gold and silk flowers, hat made of Italian straw and only one thick gold necklace that was becoming fashionable at the time… At the beginning of her stay in Bougival, Marguerite could not abandon her habits, so the house was always busy, all her friends came to visit. She avoided everything that reminded her of environment where I met her. No mother or sister could ever show such love and attention to a husband or a brother like she did to me. “Do you think that I compare chariot and jewellery to your love? You might pay my debts; cash your property to support me. How long could that last? Two or three months, but by then it will be too late to start the life I propose, because then you will have everything from me, and that is something an honourable man cannot accept; on the other hand; you have eight to ten thousand francs of income and we can live of that. You are independent and I am free, we are both young; I beg of you, Armand, do not make me go back to the life I was forced to live.” “My child, do not take me for a bad person because of what I am going to say. Please understand that there are inevitable circumstances in life, sometimes cruel to the heart, but we have to comply with them. My son has no property, and yet he is ready to give you the inheritance from his mother.” I have told the story as I have heard it. It was my duty. Marguerite’s life was extraordinary; had it been an ordinary one, it would not have been worth telling about it.